At the end of the annex, the grey curved wall of various instrument panels can be found, fitted with various meters. We’re now at the back of the control room. However, these are not the back of the controls which can be seen in the control room, as there’s a small, tiny, service corridor which bisects the two. 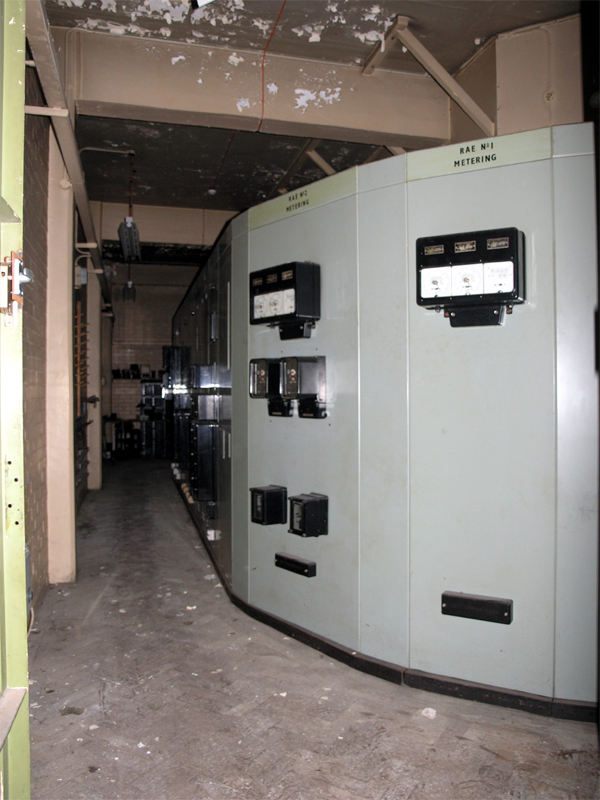 Northern approach to the back of the control room.